What does success look like from where you’re sitting? This was a question raised by Catherine Johnstone, CEO of the Samaritans, at the Surrender, Survive or Succeed conference in Guildford in April. Catherine was talking about the need to get input from all your stakeholders when planning for change. The Samaritans is a huge national organisation, comprising over 200 separate charities and yet they were able to involve a wide range of people in consultations on the organisation’s strategy and plans – volunteers, trustee, beneficiaries, partnership organisations and funders. For many managers of volunteers, an ongoing challenge is how to respond to and communicate change. Changes may be prompted by the things happening in the external environment such as funding restrictions, the law or changes to the needs of your service users. Or it may be a recognition that you can improve the efficiency or the effectiveness of your internal procedures. But change is unlikely to be successful unless you take people with you. It needs leadership. Some longer standing volunteers may be resistant to the idea of change, and need to help to adjust. Tony Blair talked about his three priorities – Education, education, education. We suggest that the three priorities for managing change are – Communication, communication, communication. One effective way to work out who to communicate with and how, is to undertake a stakeholder analysis. This involves identifying and analysing all the people affected by a change. The first step is to identify all the different groups e.g. volunteers, staff, service users, management team, Board members, funders, partners. It may be appropriate to sub-divide certain groups, for example is there a group of volunteers who are committed to the change, and another group who are resisting it? Once you have a full list of stakeholders, you need to analyse them. Who are your supporters or change champions – the people who have a positive attitude to the change? Who are the people who have influence to help you implement the change? Some people will be very influential but not interested or even hostile, and some will be very interested but not so influential. This will help you decide on a successful communication strategy. 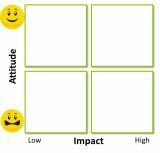 The stakeholder grid below shows how you can divide people into four groups according to their interest and attitude, and the broad communication strategies needed for each group. Once you have identified who are the most important people to influence and involve in your change, you will know where to focus the bulk of your resources. This doesn’t mean that you ignore the others, but for some people an occasional update will be sufficient, whereas you will want to communicate regularly and in more depth with those high impact stakeholders. The key to successful communication is to be honest, to communicate the right amount at the right time, and to use a variety of methods, face to face, group, telephone, email, newsletter, social media if appropriate. Allow for two-way communication – how can people respond to messages? If you are running a consultation, offer a variety of way for people to feed in. These are your change champions. Involve them in your communication, e.g. speaking at meeting, brainstorming ideas, helping to promote the change. Make sure they are kept up to date and know that their contributions are valued. Ignore this group at your peril. Try and understand their perspective. Try to identify mutual common ground. Consider how you can help them as well as how they can help you. It may be for example that some volunteers’ roles will change and they don’t like this fact, but if you dig deeper there there may be aspects of the new roles that they might enjoy. You may need sensitive one to one communication for some of these people. You don’t want to further alienate these people, but nor do you want to spend too much time on them. Keep them up to date with general information as needed. Monitor this group because if they grow in influence you may need to do more to convince them. However you can’t please everyone and you don’t necessarily need to. If people are positive but not particular influential, see if you can find ways to get them more involved. They may be able to promote your change to others in their network who might be more interested or influential, for example former volunteers who are no longer directly affected but agree with the direction of change. © Copyright Felicity Dwyer & Maggie Piazza. All rights reserved.